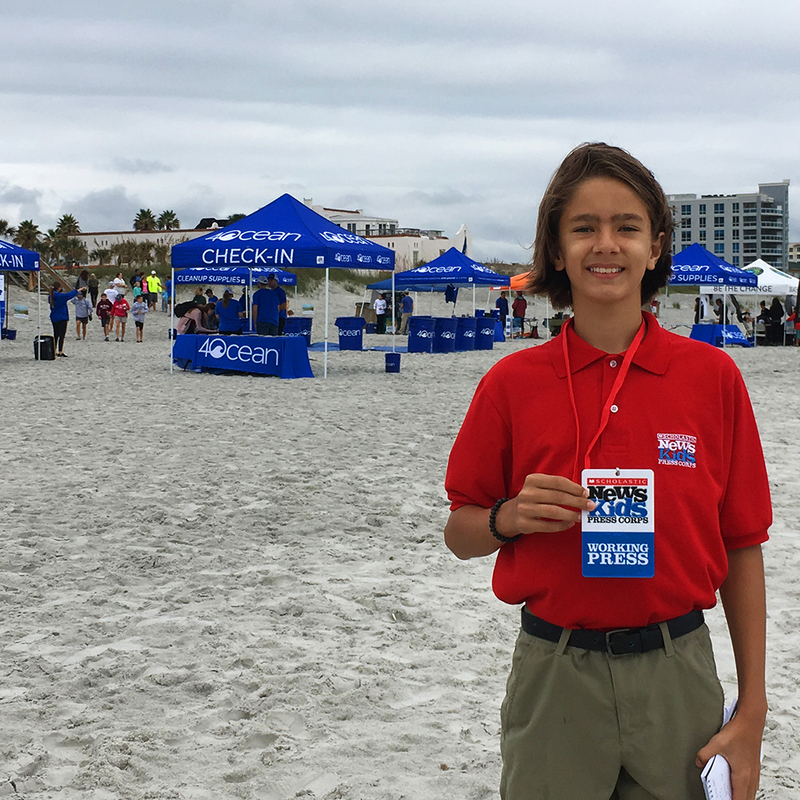 Fishing for Plastic | Kid Reporters' Notebook | Scholastic Inc.
Click below to see Andrew's conversation with Danny Murphy of 4ocean. In 2015, two friends from the United States traveled to Indonesia. Having just graduated from college, Andrew Cooper and Alex Schulze wanted to surf in Bali, once considered a tropical paradise. Cooper and Schulze decided to turn the task of cleaning up the ocean into a business. In 2017, they founded 4ocean, which is based in Boca Raton, Florida. The company sells bracelets that are made from recycled glass and plastic. The bracelets, which are unisex, sell for $20. “Our mission is to clean the ocean and coastlines,” said Rachael Lobeck, a public relations representative for 4ocean. Andrew meets Danny Murphy, 4ocean’s community outreach manager, at a beach cleanup event in Jacksonville, Florida. Since its founding in 2017, 4ocean has sold more than $30 million worth of bracelets and removed more than 2 million pounds of trash from the ocean. The company has now expanded its efforts to include the mouths of rivers, where 90 percent of ocean plastic originates. A 135-foot vessel can cart away up to 310,000 pounds of plastic at a time. Murphy and 4ocean are hoping that their movement can reverse an alarming trend: According to a 2016 report by the nonprofit World Economic Forum, at the current pace, plastic in the world’s oceans will outweigh fish by 2050. The 4ocean company sells bracelets that are made from recycled trash found in the ocean.